As a steemian who want to see this platform continue to grow and flourish, we all have 30 votes to cast for any steemit witness of our choice and I will say this is the most important 30 votes you will ever cast on this platform. Meet our steemwitness is a program put in place to know more about our steem witness, there roles and obligations. We need them as much as they needs us. Our witness are the leaders on the platform and thus it is our paramount importance that we due our due diligence before casting our votes. Today I would like to introduce you to @jatinhota a witness from India. Core Member of #thealliance Group. Founding Member of @IndiaUnited Community. A Very Helpful Guy. How did you first hear about steemit and what made you decide to join? ⁃ I was searching a good coin with great potential in long term and By that way I found steem. After reading the white paper, I really like the idea behind it and that what make me join this awesome platform. For steemians who don't know much about witnesses, can you give a layman explanation of what it is that witnesses do? ⁃ Witnesses are the backbone of the Steem Blockchain. We run nodes/server that create blocks and add them to the blockchain. That Block have all the record of transaction with time stamp. The make us like keeper of Whole Steem Platform. So Basically We are the "miners" of our network BUT We are elected from the community to do so (DPOS). Being a witness takes a lot of time and energy, how do you keep a balance between this and other commitments? ⁃ Honestly, I don’t think running a witness node isn’t really that time consuming. And , I am doing all these stuff all day as I am working in this field. Honestly, I am bad a time management. ⁃ I don’t think there is anything unknown about me except The secret I don’t want to share. 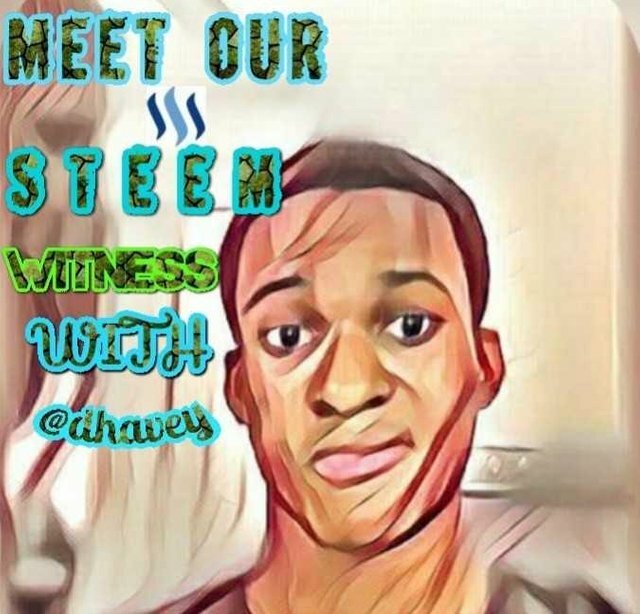 What makes you from different witnesses in the steemit community? ⁃ Everyone is unique and different in their way. What is the biggest challenge you have ever faced since you joined steemit? ⁃ Time Balance between my personal works and support community as well as Individuals in steem. As one of the witnesses what is your duty? ⁃ From the first day of my witness, I Always trying to support minnow authors apart from being an ideal witness from server side. What is the biggest challenge the steemit community must overcome before it goes widespread? ⁃ A adaptable Blockchain, mean, Open to evolve wit time and adopt possible "new" blockchain technologies. I know that you are always busy with your computer trying to help the community, apart from that, what are the other things you enjoy doing? ⁃ Learn New Things and Spend Time with my family. Where do you see the value of steem in the next 4-5 years along with the platform? ⁃ I am bad at predict. It all depends on various factor. What's the big plans you are working on to make steemit great? ⁃ As a Social Blockchain, Steem blockchain value depend on network effect. Metcalfe’s Law is a theory of network eects. It states that the bigger the network of users, the greater the value of the network. SO, I am adding and promoting steem platform a lot and teaching new steemain how to succeed. Besides being invested in steem, what other crypto currencies do you fancy? Some people have called crypto currency the internet 2.0 while other think it is just a hiccup in evolution, what are your thoughts on the future of crypto? ⁃ I see a monetary and transparence evolution clearly. What will be the implications of government having a say in cryptocurrency world? ⁃ I have no idea. But, Hopefully, Governments will find a way to adapt and form new regulations in a good manner. If you could only vote for one witness (not yourself) who would it be and why? ⁃ @someguy123. No need to explain. In five sentences or less, tell steemians why you deserve their vote. ⁃ 1. I am very Active on Steem. ⁃ 2. I am very helpful, always try to help at my best. You can find my username mentioned in a lot posts. ⁃ 3. Support to The Community. If you could have a privilege to change something about steemit, what would it be? ⁃ I believe, No system is perfect from start. Every system get perfection as time goes. If I have power to change something in steemit, Then, I would put a ads system like Facebook and All the ad fees goes to rewards pool. So in that way, Steem’s value will increase as I said on 12th answer, Steem growth depends on the network growth. As steemit users we need to do everything in our power to choose witnesses that will represent the community well. Before voting make sure you do some research on the people you are voting for and be informed. Head over to https://steemit.com/~witnesses and click on some of the witnesses names, get to know them a bit better and do your part to make sure this community thrives. please vote @jatinhota to be your witness today! If you appreciate and value what I do, please consider supporting me by Upvoting, Sharing and Reblogging and kindly follow for more content to come ! • aggroed • yuriks2000 and you can make sure you follow along with the next episode. Help a soul today so that the world will be a better place for you and for me. VOTE @jatinhota @yuriks2000 @liondani @aggroed @good-karma @abh12345 @neoxian @lukestokes.mhth @blockbrothers @adsactly-witness @timcliff @drakos @roelandp @reggaemuffin @felixxx @steemgigs as witness. @jatinhota is one of the nicest guys I've met on here and am proud to have him as a family member in #thealliance. Thanks mate. I am gonna die. I can’t digest too much praise. Lol. But honestly, Many user thinks the opposite. I am also very proud to be your friend mate. Well, the only opinion about you that matters to me is my own, and you got my vote no doubts. Thanks for your kind words mate. This is amazing. Who knows @jatinhota is doing so much. Thanks to this great show that has afforded me the opportunity to know him better. This episode is an interesting one. I always don't want to miss any of the episodes. 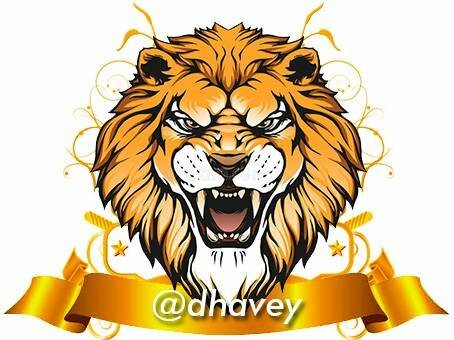 Good job @dhavey. You are really making things interesting.